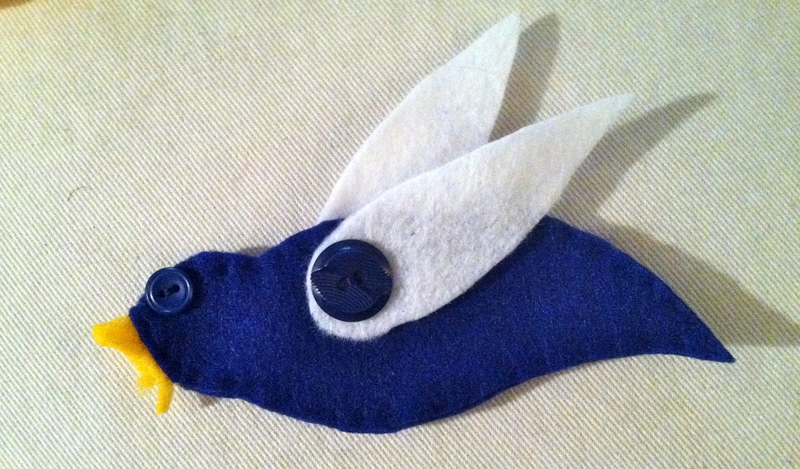 It’s been a little over a year since I first made a felt bird. And it was beyond time for me to make another. Well really a flock. 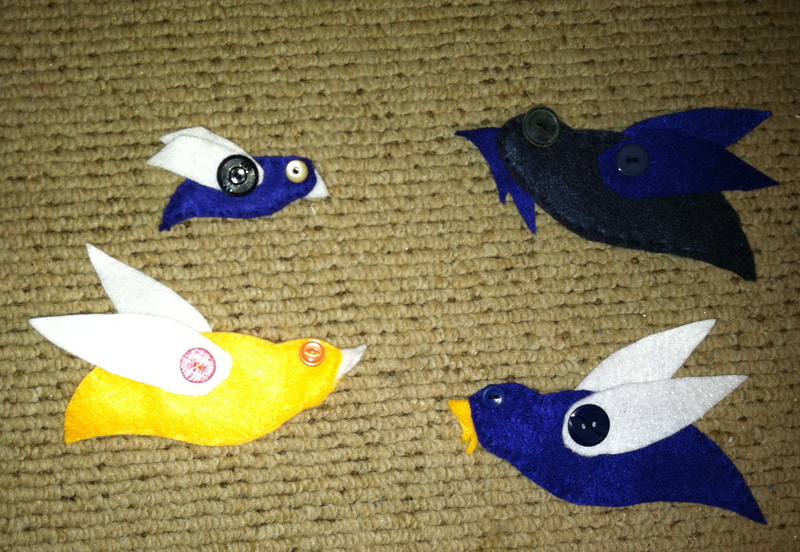 It may be a small flock, but like nature they are a multiplying and I know there will be more to show you in the future. 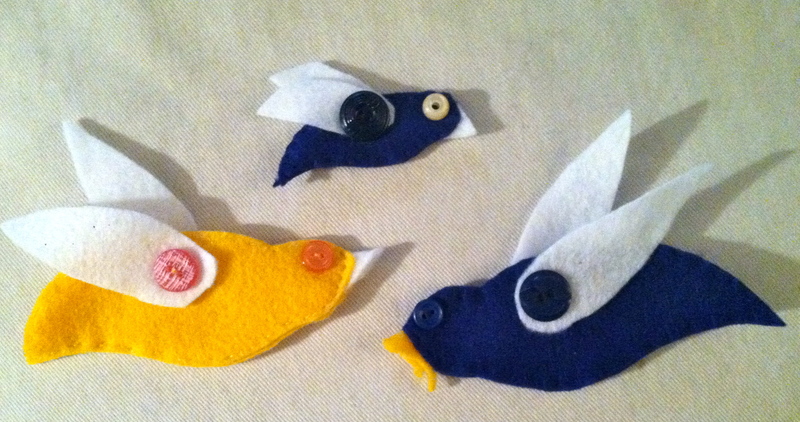 I especially love the yellow one and have a special project in mind for him/her. Here are a few images. Notice the tiny one. 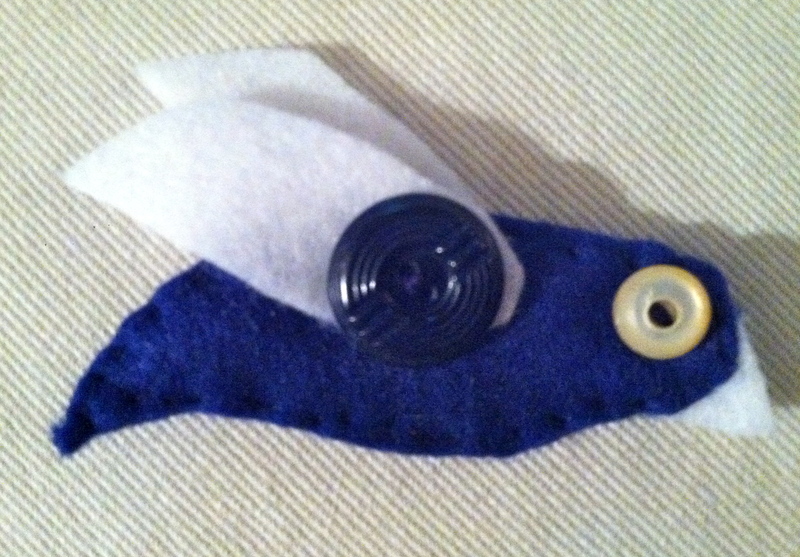 I will definitely making more tiny ones! Close up of little bird. Notice the buttons! 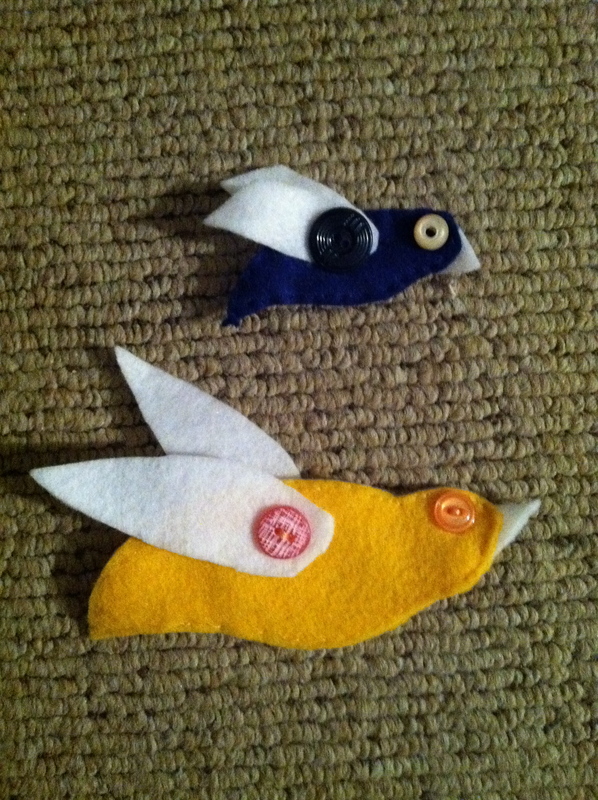 Felt birds. Different sizes and colors! I have been working on a secret project. 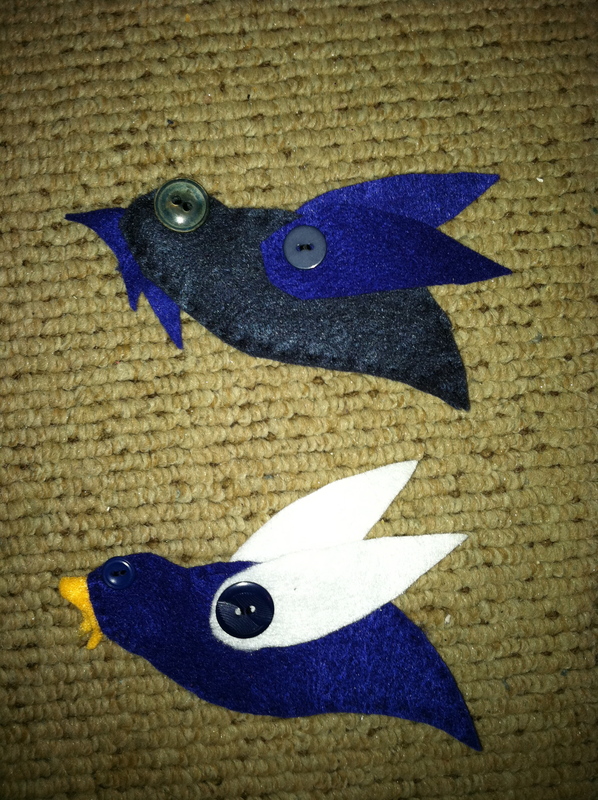 Felt creatures as a present for real life creatures. A man and his dog. The ultimate connection. I cut out pieces for the bodies and a heart for each one. When I was done sewing the heart on the dog I had enough thread to sew the other heart onto the man and leave them connected. I also made a detachable 2-in-1 tie/cape for the man that is sort of like a super hero. It is symbolizing the strength the man has gained from having his dog by his side.